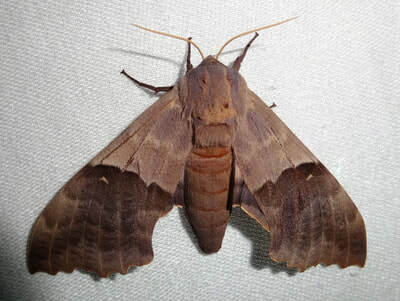 The subfamily Smerinthinae is the second largest subfamily in the family Sphingidae with about 77 genera worldwide containing about 329 species. 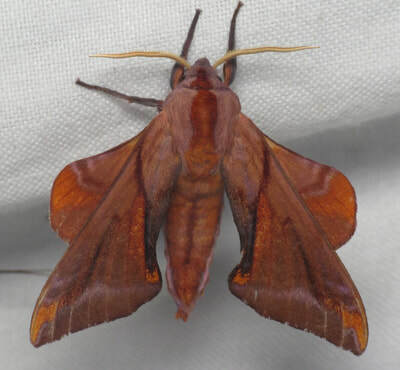 In the US, it contains 6 genera and about 12 species. The type specimen is Loathoe populi (Linnaeus, 1758). In general, Smerinthinae sphingids are small to large sized and their flight is weak and often flappy. The gallery below contains a few select species from this subfamily. It is not inclusive and doesn't represent all of the species found in the USA.